Note:- All these 4 books have a sound explanation about theoretical concepts of 555 IC and you can learn a lot about the design side concepts, especially in time delay design. 2. A collection of 555 Timer Circuits and Projects done by CircuitsToday folks! Now lets get to the book review part. All the 4 books can be bought from Amazon by using the direct BUY links given in this article. These are Global editions in the range of 10 to 12 USD, so I hope any one can afford the price! After all these books are really worth your money. 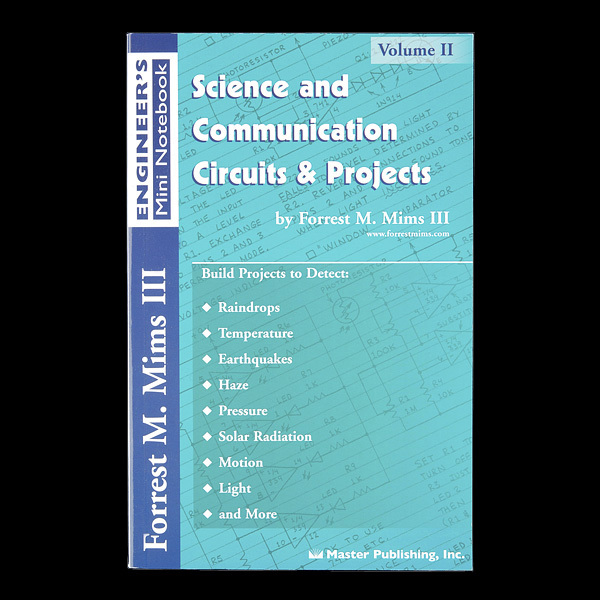 This book is a combination of Mims 3 “Engineers Notebook” series. 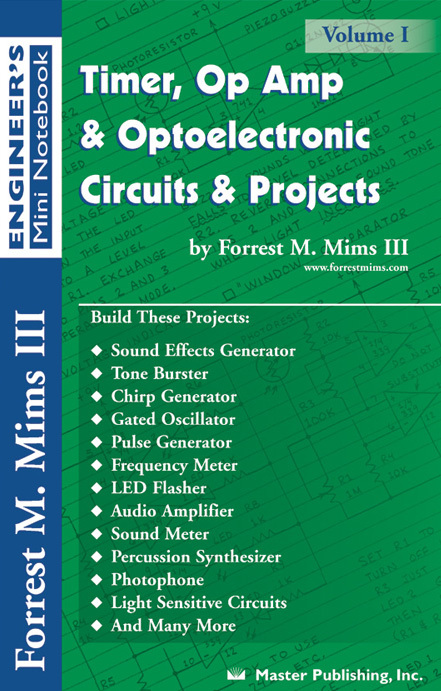 The publisher has combined 3 books written by Mims, namely 555 Timer Circuits, Op Amp projects and Optoelectronics. So this book contains more than 25 circuits based on 555 IC, more than 50 Op amp circuits and a good collection of optoelectronic circuits. All of them are hand tested by Forrest Mims himself and you can build all of them by using the associated components. Â So by reading this book you will be able to build many applications like – “Sound Effects Generator”, LED Flasher, Chirp Generator, Photophone, Frequency Meter etc etc. Like the first book, this is also a compilation of 3 of Mims “Engineers Notebook” series, Science projects+Environmental projects+Communication projects. The applications and circuits listed in this book are closely linked with real life and real world – like applications which measure solar light, temperature, pressure, rain drops, solar radiation etc. These are quite interesting and fun to build type applications listed in this book. Â You can make a seisometer, you can make a photometer to study sun light and its effects, you can learn more about rain and rain fall, and there is a good collection of radio communication projects too. Most of these circuits are build using 555 and 741 Op Amp. Well this is the third one and a really useful book because it deals with sensors. You can learn in great detail about how real world data such as temperature, pressure, light etc are sensed and converted to electrical signals for processing by circuits. 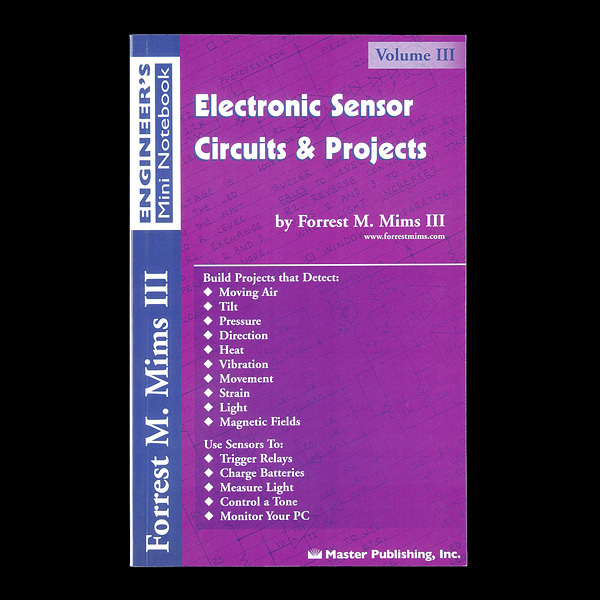 Like the other 2 books listed above, this book also is a compilation of 3 “Engineers Notebook” series from Forrest Mims. They are Sensor projects+Solar cell projects+Magnet sensor projects. Any one who reads this book can learn lot about Solar cells, Photo resistors, thermistors, magnet switches which all can be then used to build circuits that can measure light, heat, pressure, sound etc. Is this a review of 3 books about the 555 timer? Or is this a review of 3 books by Forest Mims II that have rehashed and repacked by the publisher to include the 555 timer? I don’t know, it just seems kind of bogus. If i want know about different ic`s.refer some books. Thanks for sharing these books information. But the links given in “To Buy This Book” are showing 404 error pages. So, kindly once check it and give the proper links so that it would be helpful to many people like me. Good day, pls were can i get does books in Nigeria?.